While reading a local paper, I came across information on an event that struck a personal cord with me. So I thought I would blog about it here to share with others, in hopes of furthering a great cause. My Grandmother has been a long time cancer survivor and fighter and she’s an inspiration. She has never lost her courage or determination. I cannot think of a better way to celebrate her accomplishments than by participating in this Relay. 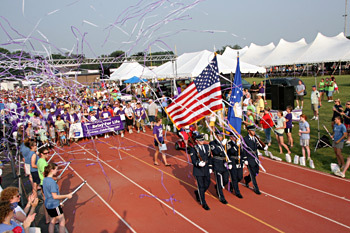 The relay is not just a fundraiser for the American Cancer Society; it’s also a celebration of survival. How do you remember or currently support friends and/or family touched by cancer?